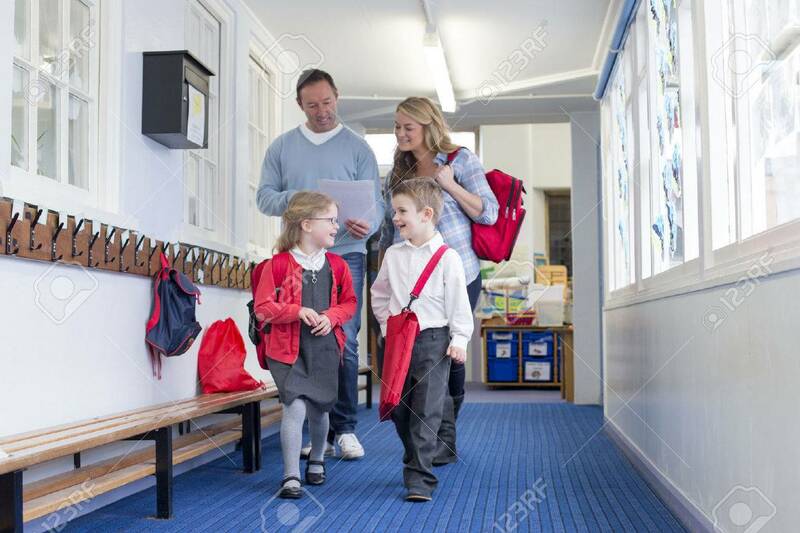 Parents And Students Walking Down A Primary School Corridor. The Parents Are Looking At Some Paperwork And The Children Are Talking. Royalty Free Fotografie A Reklamní Fotografie. Image 60255963. Reklamní fotografie - Parents and students walking down a primary school corridor. the parents are looking at some paperwork and the children are talking. Parents and students walking down a primary school corridor. the parents are looking at some paperwork and the children are talking.